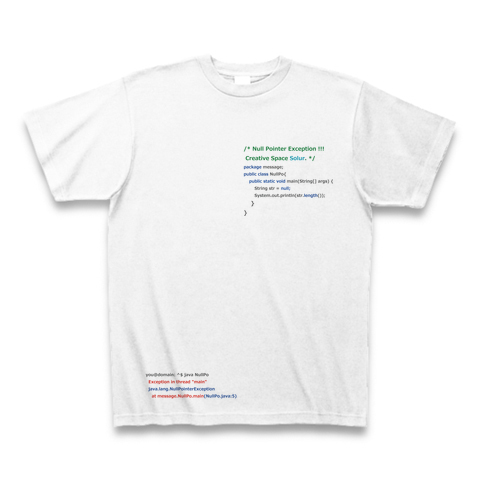 Programming PRINT T-shirt White Ver. - Null Pointer Exception !!! / Java Language - | Creative Space Solur. /* Null Pointer Exception !! !